Best View in Brooklyn: I really want a Stop Sign on my block. 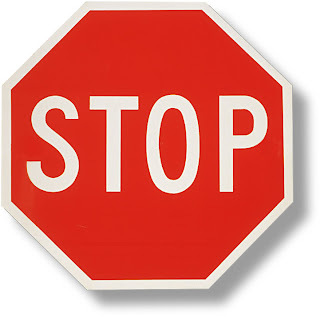 I really want a Stop Sign on my block. Last spring, local groups (Sunset Park Alliance of Neighbors and Friends of Sunset Park) began gathering signatures for traffic calming around Sunset Park itself. The areas of concern include 41st and 44th Streets between 5th Avenue and 7th Avenue. Cars and trucks use these streets as short cuts to and from New Utrecht and Fort Hamilton, and they gather speed as they go up the hill. It is treacherous for those crossing towards the park as the parked cars (and idling ice cream trucks!) often block a reasonable line of sight. Almost 18 months ago Community Board 7 requested traffic calming measures, but they were denied. From what I understand, CB7 plans on re-submitting this request. Late 2007, I wrote to the Mayor's Office. After many letters, I was informed that someone came to assess the situation. This person decided there was no speeding on the blocks, so no signage or speed bump was necessary. I wish they would come when I see all these cars racing up the hill! Recently, I wrote to Marty Markowitz about this thorn in my side. I figured he might appreciate a photo opportunity in a community like Sunset Park. What better than opening the park season with Marty brandishing a new stop sign and providing safe passage for children, the elderly, dogs, and anyone else visiting the Best View in Brooklyn? Sadly, I was told that I'd have to wait for CB7 to get going on it again. Maybe I should have pointed out that people who drive through Sunset Park don't watch for pedestrians. We're notorious for hit-and-run incidents! Grrrrr. To supplement the SPAN and FoSP paper petitions, I've started a petition on-line. Please consider signing it!